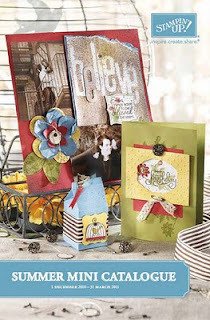 Get great Stampin' Up! products up to 50 percent off during our December Frenzy sale--1-29 December only! Contact me today to take advantage of these never-before-seen prices! The New Summer Mini Catalogue is available now, with new stamps, accessories, punches and papers. You can see it online HERE.